COURTNEY “KING PENN” PENNINGTON steps in to clean up unfinished business against up and coming super welterweight prospect STEVEN “THE HITMAN” MARTINEZ. 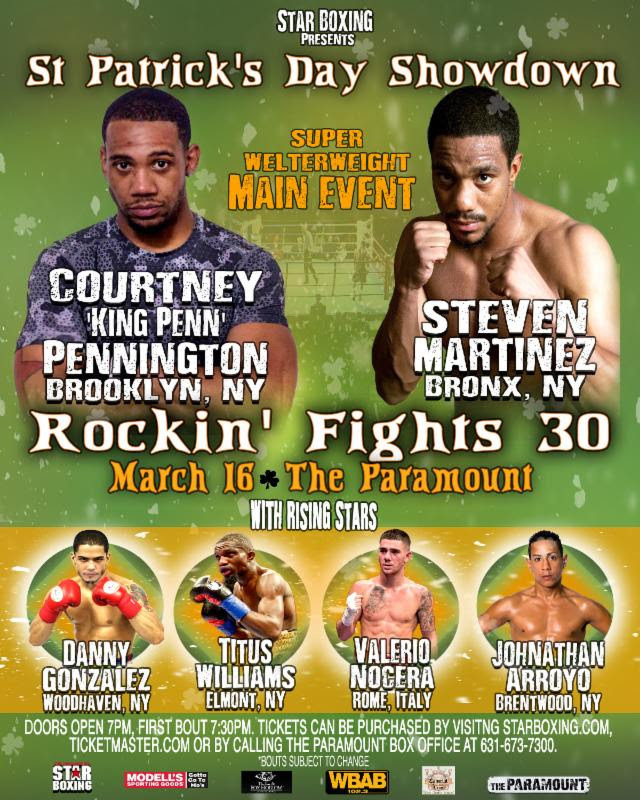 The Brooklyn native Pennington looks to continue his hot streak against Martinez, as he will be featured in the main event of Rockin’ Fights for the first time. The main event bout is a scheduled 8-round super welterweight showdown.